Aerosols? Probably not something you think about on a daily basis. They're great for cleaning, but they're not entirely safe. Traditionally, they've been propelled by something called Liquified Petroleum Gas (LPG) - that's a mouthful, however it's basically a combination of propane and butane. Suffice it to say, that's not something you want to spray in your home every time you clean it. As parents and pet owners ourselves, we set out to invent a better way. After years of development, we're proud to introduce you to breathe™. 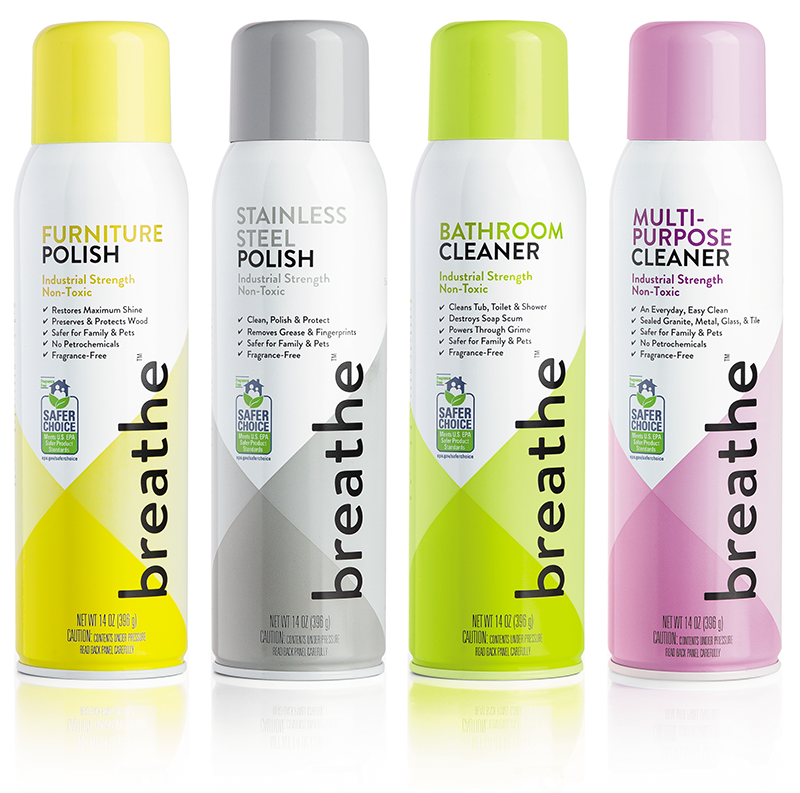 Breathe™ is the first aerosol cleaning line with 100% of ingredients meeting the Environmental Protection Agency's Safer Choice criteria. Instead of LPG, breathe™ is powered by air. So now you can get the clean home you want, but you can breathe easy doing it. Say hello to clean cleaning.